To see images of animals and how they are treated today still shows no real change. Only researchers use modern-day equipment, barbaric it still is, and then in BC era there was no real animal activists to save them or speak up for them. The human race has changed though. Some humans drink, smoke, eat meat, all of which leads to clogged arteries, heart failure, stroke and death. Alzheimer’s and Parkinson’s disease is becoming the norm. So to fight this as of humans neglecting their own bodies newer medicines are needed so animals then come in to the agenda. 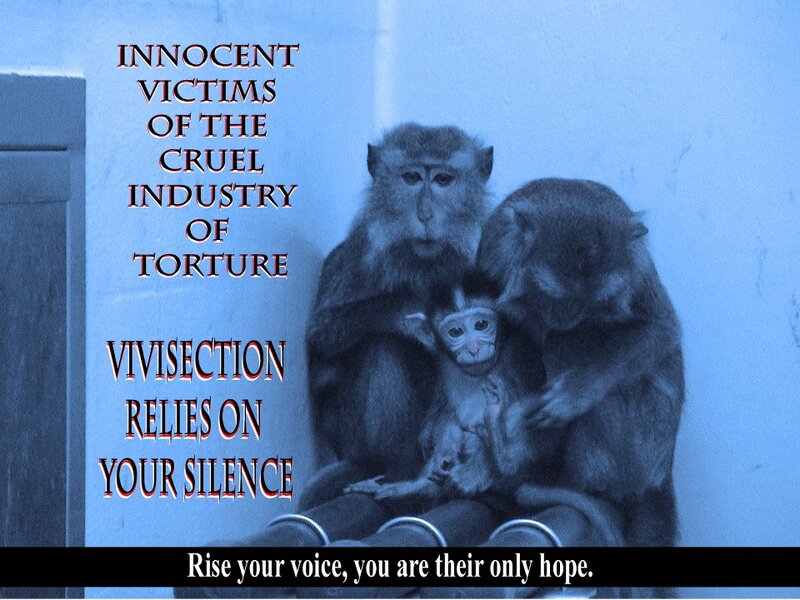 Vivisection is more than cruel to our animals that are incarcerated in a cell of iron. Analgesia is rarely administered as researchers need to obtain what they say “accurate results”. The United States law states that any animal that undergoes such practice’s has to be given the correct course of anesthesia “but” only where it is scientifically needed. This is not the case though and many primates or rodents are put through some of the most shocking experiments for human gain. In the United Kingdom the law states that any vivisection involving an animal must be granted a licence under the Animals Scientific act 1986. This rarely happens though. The United Kingdom government also stated that research on animals involving vivisection would be eventually phased to a minimum. Sadly the sick torture from these vile researchers still goes on, behind closed doors in under ground laboratories. The recent exposure of Green hill from which animal rights activists gained entry overwhelming the police and staff showed that Beagles had the vocal chords cut out “just so they do not annoy the lab technicians” and again the recent exposure of the UF laboratories (University Florida) showed in the freedom of information act that primates had undergone some of the most sickening of tests. Researchers just do not care though, they come to work knowing that an animal is just in their eyes, a piece of flesh to work on then it’s back of to the plush homes again to enjoy their happy family life. With no care in the world of what they done that day. How do they sleep? good question. How do the animals sleep? they don’t. Their souls are stricken ed to a cage with metal bars or other sick barbaric torture mechanisms. Until the next day when their hell starts all over again. Anti-vivisectionists have played roles in the emergence of the animal welfare and animal rights movements. Among their arguments is that it is immoral to inflict pain or injury to another living creature, for whatever purpose. Bring back the dissection era of 1559 to those that harm are animals in labs. We will win this war, it’s you that has to start now by joining us.